Be it the savviest tech product or the candy you get in your neighbourhood shop and you – everything is a brand. Branding includes everything that is associated with the brand- name, website, URL, logo, colours, symbols, spokespersons, slogans, jingles, packaging, signage, etc. Branding helps associate all these with your brand name so that it becomes an appealing and memorable entity. Needless to say, all this create several branding challenges and opportunities that you must consider if you want to grow your business. Branding process means sending a message to the world about who you are and what you stand for. The idea behind this is to make people understand what your name, product or service is, and to present it in such a way so that they want it or aspire for it. In other words, branding is an exercise that creates a lasting impression on the market. It helps customers organise their knowledge and feelings about your brand in such a way so that they recall your brand in a positive way. In simple terms Branding is all about adding Value to Your Product without Changing It. Branding is all about helping people to know, understand and want your offering (product, service, idea). Branding is the process of making your products, services and your company (startup) known, preferred and wanted for decided features in your decided target audiences. Marketers engaged in branding seek to develop or align the expectations behind the brand experience, creating the impression that a brand associated with a product or service has certain qualities or characteristics that make it special or unique. A brand image may be developed by attributing a “personality” to or associating an “image” with a product or service, whereby the personality or image is “branded” into the consciousness of consumers. A brand is, therefore, one of the most valuable elements in an advertising theme. The art of creating and maintaining a brand is called brand management. A brand which is widely known in the marketplace acquires brand recognition. When brand recognition builds up to a point where a brand enjoys a critical mass of positive sentiment in the marketplace, it is said to have achieved brand franchise. One goal in brand recognition is the identification of a brand without the name of the company present. For example, Disney has been successful at branding with their particular script font (created for Walt Disney’s “signature” logo), which it used in the logo for go.com. The power of creative Branding is visible to all. We are drawn to Starbucks, Harley-Devidson, Coca-Cola, Apple, Singapore Airlines, Heinz, and Gillette. These companies have learned how to make their brands live in customers’ minds and hearts. Branding is to be able to choose a name, logo, symbol, package design, or other attributes that identifies a product and distinguishes it from others. Branding involves creating mental structures and helping consumers organise their knowledge about products and services with these visual branding elements. Branding elements list helps us clarify a brand in consumers mind & helps their decision making and in the process provides value to a firm. The key to branding is that consumers perceive differences among brands in a product category and marketers can benefit from the increased appeal in a choice situation. Branding is a must for any brand (or person) that has products and services to offer. It is especially crucial for small businesses, start-ups and niche products. Older, established corporate brands already have a strong market presence. In the volatile and competitive marketplace, it is a must that small businesses and newcomers distinguish themselves from their competitors if they want to stay alive. Good brand management must deliver short term financial goals as well as long term brand equity goals. In other words, brands must meet their short term revenue goals to stay afloat, and at the same time, build upon their brand image in such a way so that it establishes the brand’s viability in the long term. A good brand marketer, therefore, must provide with a strategic plan that takes a holistic approach towards building your brand. However, there are many challenges to overcome while building your brand. Branding is not easy. It is not just about giving a name or an attractive logo or slogan. It is one of the most challenging tasks a manager’s faces. 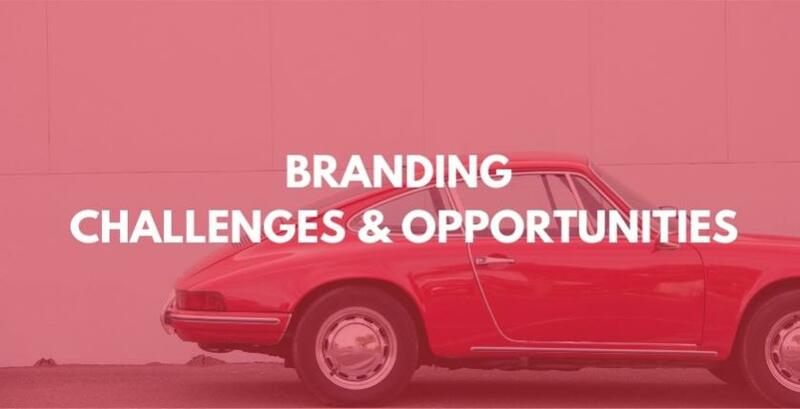 These challenges are also known as “three C’s of Branding”. The challenge of cash, or dealing with short term financial concern, is the biggest single challenge faced by brand managers. It is driven by a very simple conundrum: Executives needs to deliver short term financial results, but brands are long term assets. Executives who deliver quarterly profits are rewarded. However, all of a brand’s value resides in future, and current financial returns are a very small part of the total. However if a manager is forced to choose between investing in a brand and missing short term financial targets, most managers choose to hit the short term numbers. This is usually a career optimising decision. This ultimately leads to a “branding doom loop”. The doom loop begins with a manager struggling to deliver a short term profit target. To boost sales and profit, the manager deploys a program that has a significant short-term impact, such as price promotion. To fund price promotion manager reduces investment in brand building programs. This is especially common in intensely competitive sectors like food and beverage, apparels and lifestyle. The problem has only compounded in the age of online shopping, as more brick and mortar stores face intense pressure to offer prices that match those that are provided by online retailers. It takes a creative and determined approach to escape the situation and convince the customers to stay loyal. Brands are created through a wide range of touch points; every time a customer interacts with a brand they form associations. This means that everyone in a company has an impact on the brand. Therefore the central objective of brand building is to keep the message consistent across all platforms, media and time. This requires keeping the brand relevant by finding new ways to articulate its message so that it stays consistent. This means making appropriate changes across the board constantly and adapting to stay on top of trends. However, many brands are unable to present a unified message across all platforms. For example, a brand may otherwise have a good online store, but its social media profiles may not be up to the mark. Other brands follow another destructive path- which is separating their online and offline offerings. Therefore the second biggest challenge of branding is consistency, or getting an entire organisation to embrace the brand live up to the promise over time. However, if an organisation does not understand, believe in, and own the brand – if the message, the brand, and the product are not consistent- the vision remains unfulfilled. What they don’t understand is that the customers want to have a seamless brand experience. Be it in a physical store, or the online store or on the app or some other affiliate platform; a brand must appear as a cohesive, complete entity that offers customers the same positive experience across multiple devices, platforms and versions. Make sure that your brand remains fresh and relevant, and the message should be innovated continuously to keep up with changing customers. Any drastic breaks will result in losing brand value and customer engagement. If your brand is not consistently freshened, you will become stale and be eventually shunned by the target audience. Take the example of Lux soap, which has been around for ages, but does not “feel” old. Its image is constantly updated, and while the central message remains the same, it is articulated in new, fresh ways constantly which prevents it from looking jaded. The market is intensely competitive and increasingly populated. Consumers are bombarded every day by hundreds and sometimes thousands of advertisements and promotions. Breaking through this cluttered environment is exceptionally difficult. The challenge is to be unique and stand out among the crowd. This means using innovative marketing and advertising to carve out your niche. It is had to get anyone to pay attention to your brand, and harder still to form meaningful associations. To stand out brand need to be focused and unique; great brand means something unique in a consumers mind. Having a clear positioning is a great beginning, but not sufficient. Brands need to create attention through creative advertising and innovative use of media. The important job is to position your brand uniquely so that it fulfils a supply requirement. Otherwise, you will get swamped by competition. The idea here is not just to be good, but also be memorable. And that requires a holistic approach towards brand positioning. For example, Nike remains such a favourite brand because its logo and tagline are instantly memorable. The brand is what’s given by a company to its merchandise so the manufacturer can be identified by consumers. After an increasing evolution on the production systems that allows almost any manufacturer to make high quality and satisfactory products, brands became a way of distinguishing simple commodities and their manufacturers by status, emotional characteristics and subjective qualities. A well-built brand gives the company or product personality and evokes emotional and subliminal characteristics that are not necessarily found in the company or product themselves. Envelope 1: A bar of white colour soap. The ultimate accolade for a brand is to be at the top of its category. Once this has happened, however, it risks becoming generic and being unable to act as a brand – the ability to distinguish goods from different producers. There are strong brands in every line of business – consumer goods (Beverages like Coca Cola, Pepsi), Consumer durables (LG, Samsung, Sony), Software (Microsoft, Google), Insurance (Prudential, AIG, MetLife), Automobiles (Ford, Toyota, Saturn), and even secret services (FBI). To monetise or profit from a brand, you have to build it and keep innovating it constantly. If you want to survive, you must keep your brand fresh, relevant, accessible and customer-oriented. Brand building is like establishing your reputation in the market. It is a difficult process, but if you can build a strong brand, you will be reaping profits for a long time. The ultimate test for any brand is to be at the top of its field. To do that, you need the help of a good branding strategy, which will convey your brand’s values, appeal to your intended audience and beat out the competition. The key aspect is to find your USP and then build your brand around it. Always remember that not everyone will find your brand appealing. A person who buys a Mercedes is unlikely to look at a Nano. But you need to decide who you are marketing to, and then stick to that. This will help you find your voice and create your niche in the market.